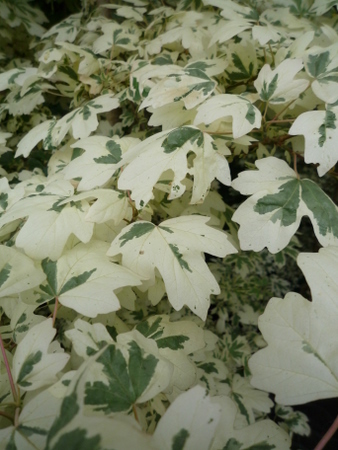 Acer campestre ‘Carnival’. 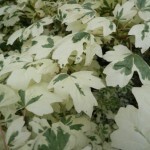 This is also known as the variegated Field Maple. 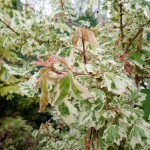 It is a tree with attractive variegated green, pink and white leaves. Small green flowers. 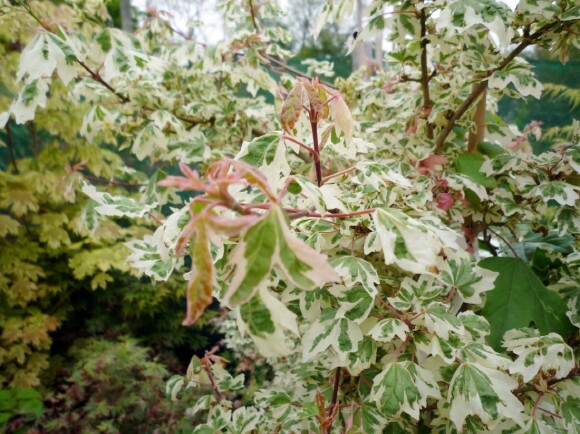 Acer campestre ‘Carnival’ is a hardy, deciduous tree.